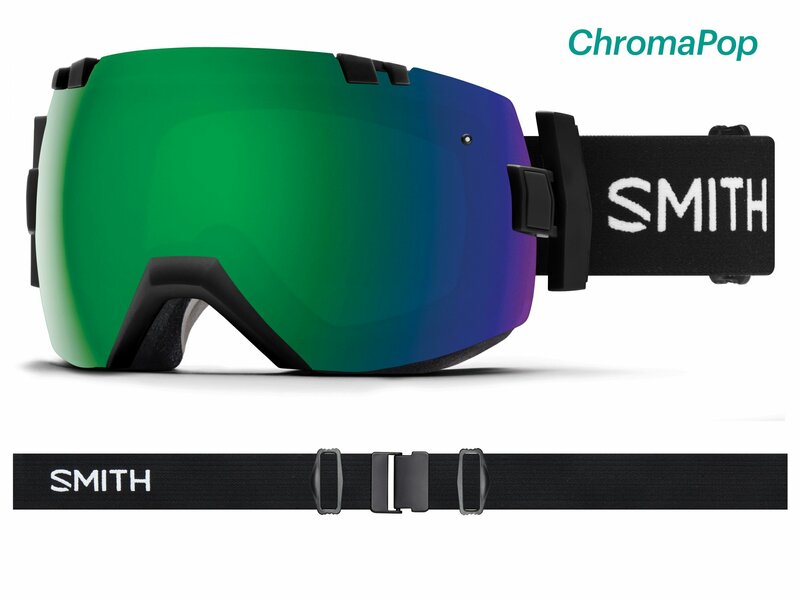 The Smith I/OX is the biggest goggle in Smith's line. So if you are looking for the best clarity and definition while also being able see most everything in your peripherals this is the Smith Goggle for you. The I/OX is also eyeglass compatible, as it will fit over most eyeglasses. In addition, the goggle has features like 5X Anti-Fog and AirEvac Integration to help ensure these will not fog up on you.